Bloomsbury USA Childrens, 9781619637184, 288pp. For fans of Rick Riordan and Spirit Animals, this thrilling follow-up to Simon Thorn and the Viper's Pit continues the adventures of a boy who can shapeshift into an animal. With plenty of action and adventure and characters full of heart, this story is perfect for fans of Rick Riordan and the Spirit Animals series. 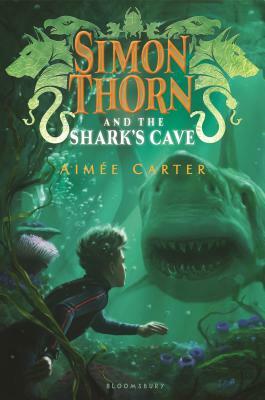 Aimée Carter is the author of the Simon Thorn series: Simon Thorn and the Wolf's Den, Simon Thorn and the Viper's Pit, and Simon Thorn and the Shark's Cave, along with the two YA series The Blackcoat Rebellion and The Goddess Test, of which The Goddess Inheritance was a Cybils nominee. She started writing fan fiction at eleven, began her first original story four years later, and hasn't stopped writing since. Besides writing and reading, she enjoys seeing movies, playing with her puppies, and wrestling with the puzzles in the paper each morning. She lives in Novi, Michigan.